Exterior pictures courtesy of Paul Francis. Opened in April 1922 as a cine-variety theatre. Sold to T Ormiston, 1924, when seating was for 1,010. Sold to Gaumont, March 1928. Closed by fire at the screen end in 1956. 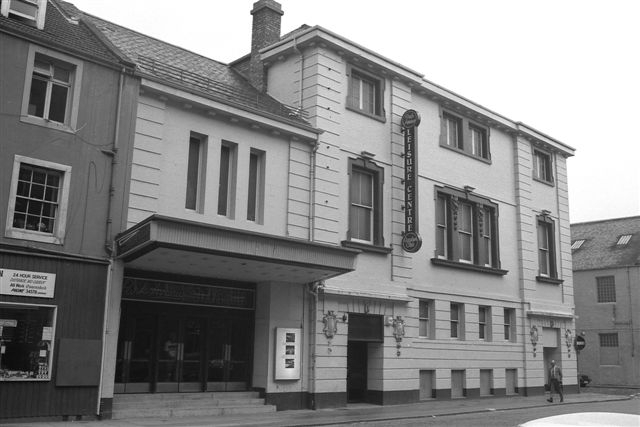 Modernised and re-opened as the Gaumont, 1956 [interior photos from this date]; seating was for 1,288. Renamed Odeon, December 1962. Closed in November 1980. Bingo, then a nightclub. Destroyed by arson, summer 1993.